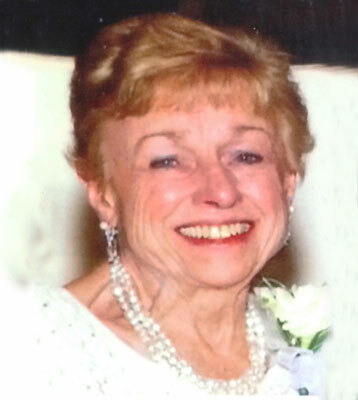 YOUNGSTOWN - Funeral services will be held at noon on Friday, Sept. 5, 2014, at the Lane Family Funeral Homes, Austintown Chapel, for Marguerite Drogowski, 84, who died early Saturday morning at Hospice House in Poland. Marguerite was born Nov. 15, 1929, in Passaic, N.J., the daughter of the late John E. and Marguerite (Campbell) Burnham. Mrs. Drogowski worked as a machine operator for Postal church. She enjoyed playing bingo at the Saxon Club. She is survived by her children, Richard (Julie) Drogowski of Cincinnati, Dawn Spencer of Austintown and Stanley Drogowski of Youngstown; grandchildren Celeste Hollenbeck, Kalin (Matt) Armstrong, Carissa (Drew) Barron, Kelsey (Matt) Aldridge, Dirk (Stephanie) Silver, Nicole (Carmine) Carrabbia, Carly Spencer, Richard Spencer Jr., David (Melli) Drogowski, Steven (Allie) Drogowski and Sarah Drogowski; 11 great-grandchildren; and siblings John (Janet) Burnham, James (Helen) Burnham and Joan (Don) Schratz. She was preceded in death by her husband, Richard Drogowski, and her parents. Family and friends may call on Friday, Sept. 5, 2014, at the Lane Family Funeral Homes, Austintown Chapel, from 10 a.m. until the time of services at noon. Arrangements have been entrusted to the Lane Family Funeral Homes, Austintown Chapel. « Be the first to sign MARGUERITE DROGOWSKI guestbook.